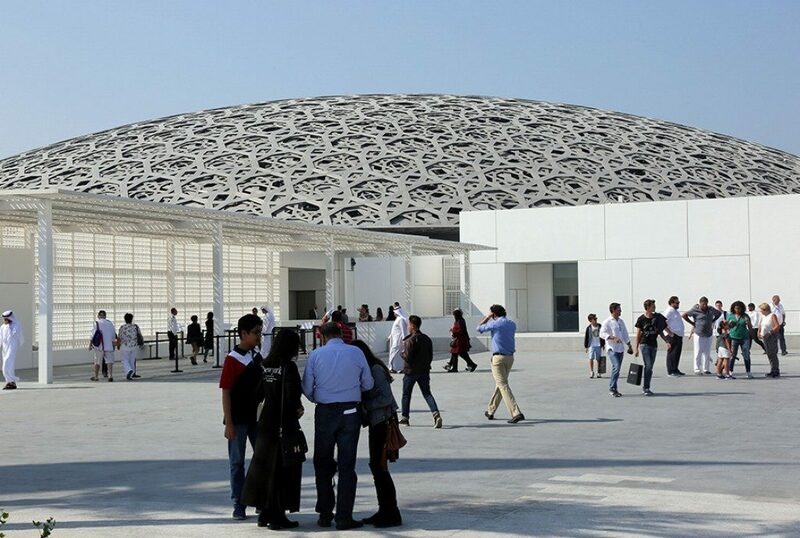 The recent opening of the Louvre Abu Dhabi puts into perspective the nature of the GCC region as one moving towards a steadfast cultural openness and art appreciation. That is the first universal museum in the Arab World reflecting the dialogue between cultures. With such a great sense of openness, it is no surprise to witness the planned move to the museum of Salvator Mundi, a painting of Christ by Leonardo Da Vinci, which was recently sold for a record of $450 million (AED1.6 billion). The New York Times identified the buyer as Saudi Arabia’s Prince Bader bin Abdullah bin Mohammed bin Farhan Al Saud, and it was said that he had no history as a major art collector. We might be witnessing the birth of a trend to further invigorate art collection in a region that is already home to serious buyers and prominent art collectors. Art Advisor Edward Gibbs said that the region had relatively young collectors, a segment that auction houses were trying to appeal to. Gibbs is also Sotheby’s Chairman in the Middle East and India, a British multinational and one of the world’s largest brokers of fine and decorative art, jewelry, real estate and collectibles. Sotheby’s Dubai launched its first auction named Boundless: Dubai last November. The auction featured an eclectic mix of art, from ceramics by Pablo Picasso to drawings and letters by Khalil Gibran, with estimated prices ranging from $1,000 to $300,000. The inaugural auction raked in $3.6 million from participants spanning 33 countries. The auction had a sell through a rate of 80 per cent, with 30 per cent of bids coming from the UAE. Gibb notes that the first auction comes after growing interest from art collectors in the Middle East. Sotheby’s has enjoyed an 84 per cent increase in UAE auction participants in its global sales in the past five years. Middle East participants increased 76 per cent in the same time period. Did you know that there were prominent art collectors in the region? Global Citizen, a guide to luxury living craftsmanship, design, art and culture, identified major collectors in the region. Ramin Salsali: An Iranian expatriate and a Dubai-based property developer, who opened the Salsali Private Museum in 2011 in Al Quoz before it became a magnet for art lovers. The museum showcases his collection of more than 800 contemporary works by Middle Eastern artists. Basel Dalloul: He is based in Cairo and the Chairman and Chief Executive of Noor Group, a telecom and computer technology firm operating in 135 countries across the globe. Basel Dalloul’s love for Middle Eastern art was hugely influenced by his Palestinian father Ramzi, who has amassed more than 3,500 works. Amer Huneidi: A Kuwaiti-Palestinian entrepreneur who has been collecting modern and contemporary Middle Eastern art for more than a decade. Based in Kuwait, he is the founder of the Contemporary Art Platform (CAP), a non-profit organisation. Tony Salame: As a Lebanese retail mogul, Tony Salame has promoted arts through his fashion franchise and even blended art and fashion further by opening the Aishti Foundation, a museum in Beirut exhibiting his massive private collection. The venue is part high-end megamall, part art gallery.